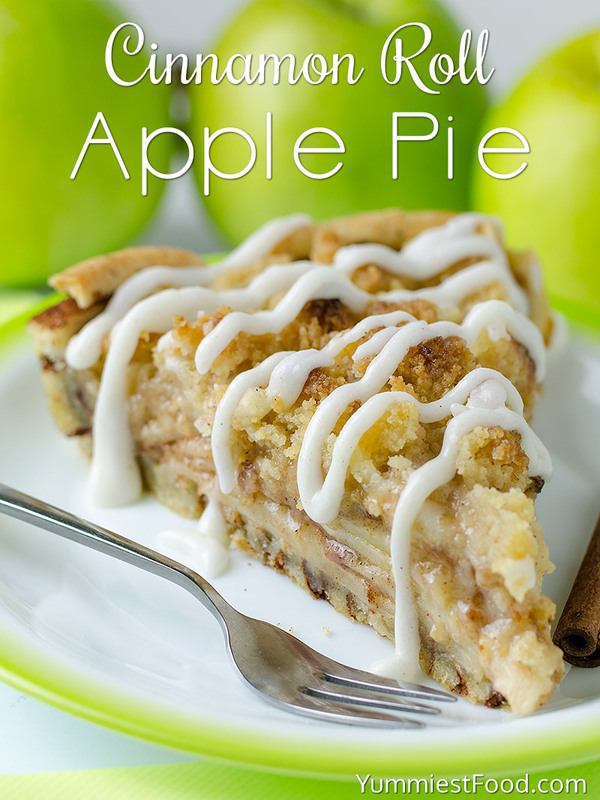 CINNAMON ROLL APPLE PIE – is perfect Thanksgiving treat. Combo of classic apple pie and yummy cinnamon rolls! 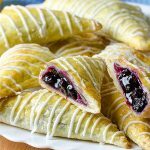 It’s just the middle of summer, but I’m looking to fall baking season. I simply can’t resist wonderful apple creations with cinnamon. I had so many great ideas about new apple recipes. I first served this Cinnamon Roll Apple Pie Thanksgiving many years ago and it was a huge hit and a pie that has been requested over and over again. With tons of apples and the best crumb and crust ever! The perfect apples dessert in the form of a pie and now my life is complete. Not only did I pair apples and crumble together, but I added another delicious element into it to bring it even further over the top, Cinnamon rolls. Yes, I totally topped this apple pie with a cinnamon roll crust. 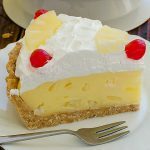 For those of you who don’t make pie crust, this recipe calls for a store bought one. 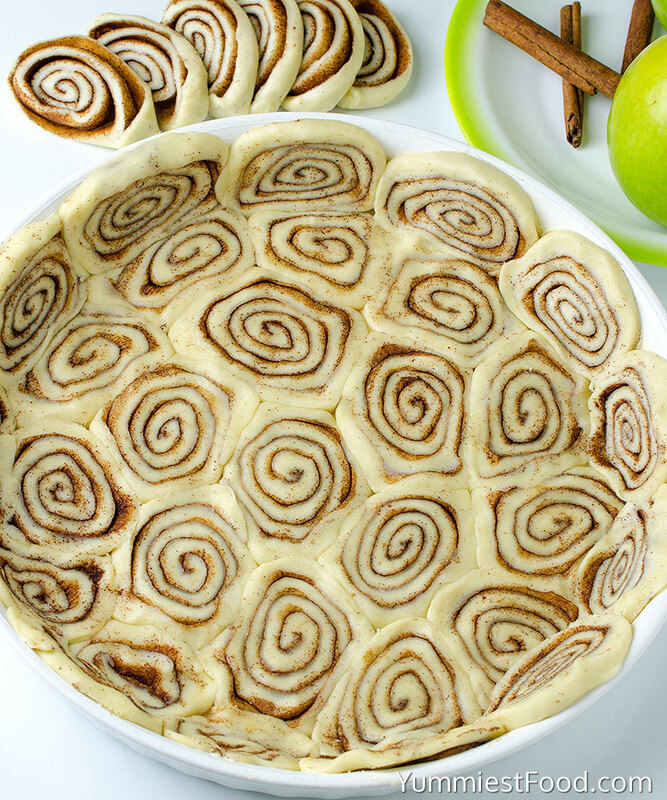 What makes this crust extra special is that it looks like mini cinnamon rolls lining the pie pan. To create this look you sprinkle an unrolled refrigerated pie crust with cinnamon and sugar. 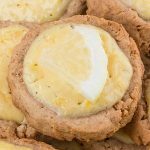 Then you roll it up and slice it into what looks like mini cinnamon rolls and next you simply press cinnamon roll rounds, cut side down, into a clear 9-inch pie plate. I topped it with mixture of sliced fresh apple, brown sugar, flour and cinnamon. Then I sprinkle the crumble over the apples and as a bonus, there is sweet sugar icing on top. Cinnamon Roll Apple Pie is fun and delicious combo of classic apple pie and yummy cinnamon rolls. 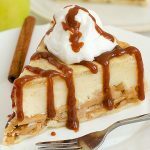 This awesome fall treat is delicious dessert just like amazing Caramel Apple Blondie Cheesecake. I really like apple pie and especially cinnamon smell. Apples are fruit which we have always at home because they are very healthy and I can use them for different dishes and desserts. 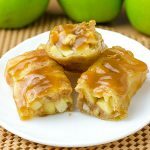 Apples recipes are the best choice and most people like them. 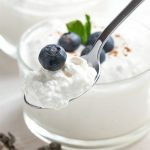 This recipe is that recipe which you make today and eat immediately. 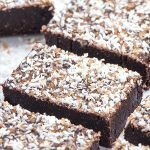 I am happy because I can share this recipe with you today so you really need to make these. When your Cinnamon Roll Apple Pie is finish you need just to enjoy in that delicious taste. 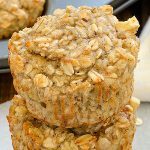 I am pretty sure you will like this real fall dessert. Enjoy! 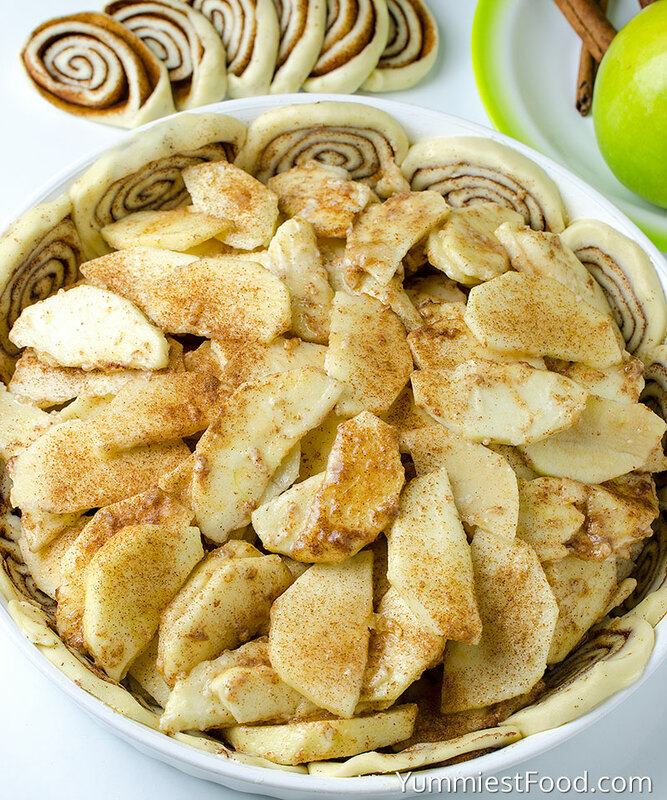 CINNAMON ROLL APPLE PIE - is perfect Thanksgiving treat. Combo of classic apple pie and yummy cinnamon rolls!